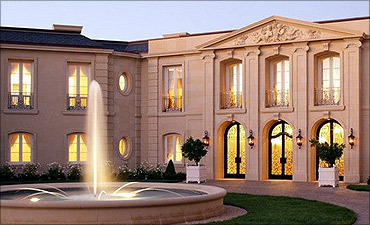 A Russian billionaire has reportedly bought the most expensive single-family home in America for a whopping $100 million. Yuri Milner, the 49-year-old Russian technology tycoon, purchased the 25,500 square foot property in Los Altos, California, which comes with indoor and outdoor pools, a home theatre and a wine cellar, The Wall Street Journal reported. 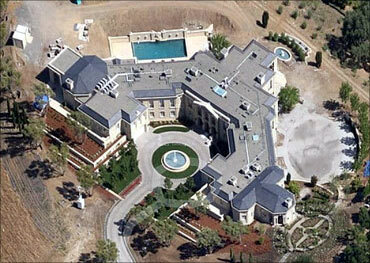 Image: It has indoor and outdoor pools, a home theatre and a wine cellar. 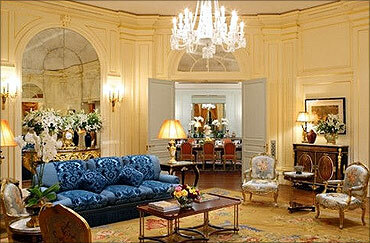 It also has a ballroom, five bedrooms and nine bathrooms and sits on 11 acres of land. It took eight years to build and was finished in 2009, it said. However, Milner, who made his money in technology, including Facebook and Groupon and heads the Digital Sky Technologies, has no immediate plans to move into the property for which he paid the "highest known price ever paid for a single-family home in the US", the newspaper said. Image: Milner has no immediate plan to move into the house. Milner currently lives in Moscow, with his wife and two children. The architect William Hablinski told the newspaper that "there wasn't a real budget" when it came to the design. Image: Architect says there was no budget for the design.